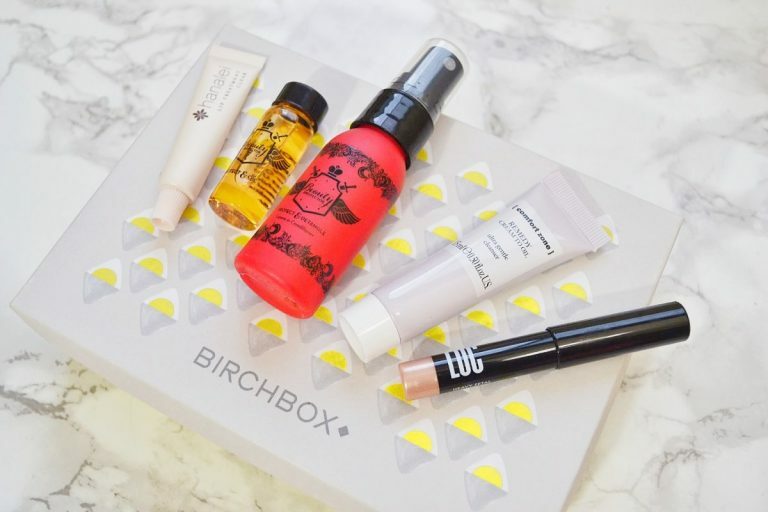 Birchbox is a beauty subscription box that sends out 5 samples each month; these can range from skincare and haircare, to makeup and beauty tools. 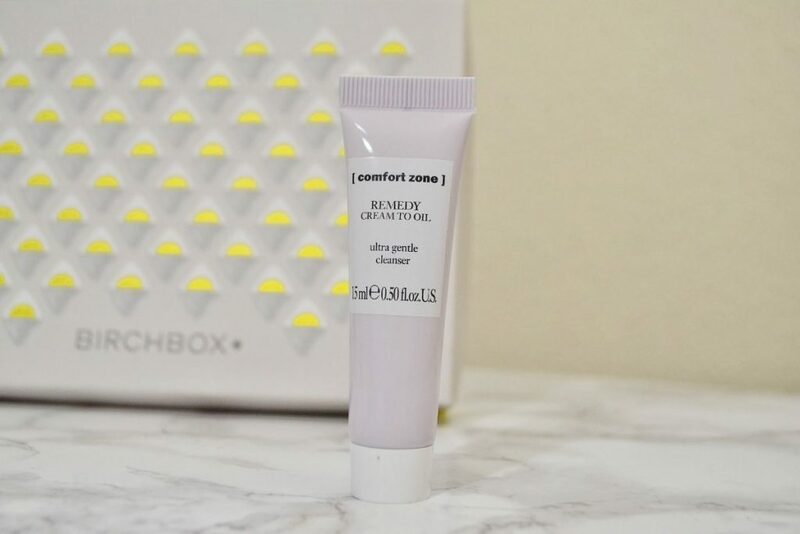 Some beauty boxes send out full sized products, but Birchbox allows you to try small samples of products to decide if you like them before committing to a full-sized purchase. 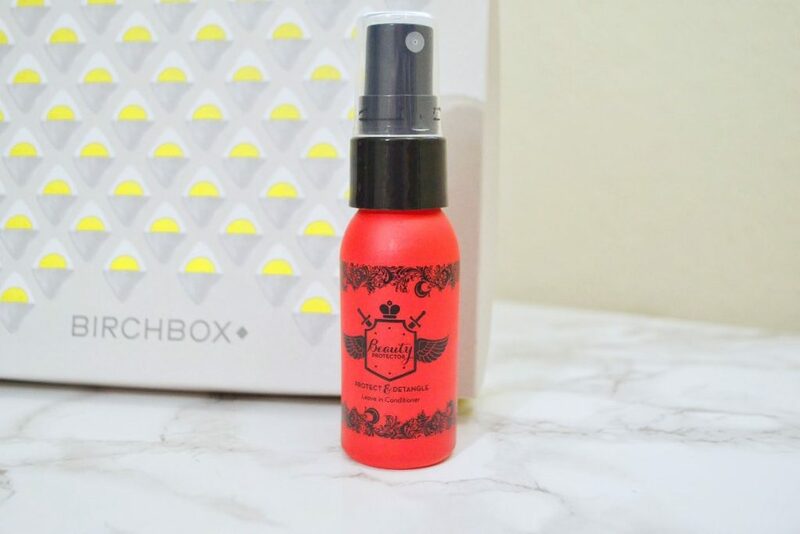 Today, I will be reviewing May’s Birchbox. It arrived in a sturdy carboard box, with a cute yellow geometric design on the front. 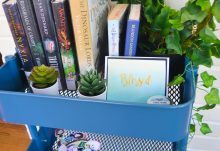 I always love the Birchbox designs! 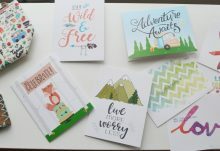 May’s theme is “Soak in the Sunshine”. 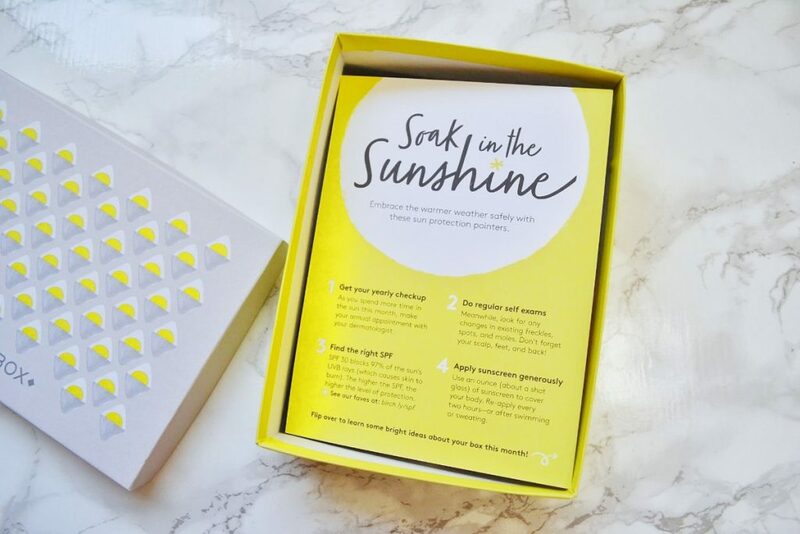 Birchbox sent a little pamphlet advising subscribers to use sun protection. The items they sent match their “Soak in the Sunshine” theme and offer protection against the summer heat. The Protect & Detangle Leave In Conditioner is a weightless, non-greasy spray that coats and moisturizes each strand of hair. It provides protection against UV rays and heat with just a few spritzes. I have been spraying my hair with this before brushing it, and my hair looks smooth and shiny throughout the whole day. The spray smells amazing as well, and is also vegan and suitable for all hair types. I’m so happy to have gotten this in my box! A full sized 8 oz bottle of the Protect & Detangle Leave In Conditioner costs $23. This deluxe sample contains 2 oz of product, and is worth $5.75. This lightweight hair oil features argan oil as its main ingredient. It provides protection against styling and UV rays, while also nourishing your hair and providing shine. I actually received this sample from Birchbox a couple years ago, and it does not really work with my hair. My roots down to mid-shaft are prone to greasiness, and the oil only emphasizes that. I do think this would work well for anybody with dry hair, or who styles their hair frequently. 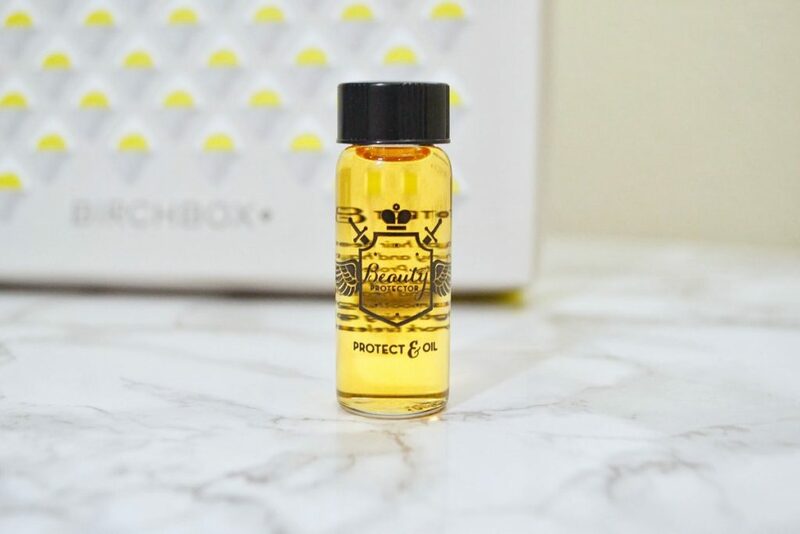 A full sized 4 oz bottle of the Protect & Oil is worth $28. This sample does not have volume information, but I estimate it contains 1 oz of product. So, it is worth about $7. This is a .17 oz sample of a lip treatment. The tube is quite small, but a little goes a long way! 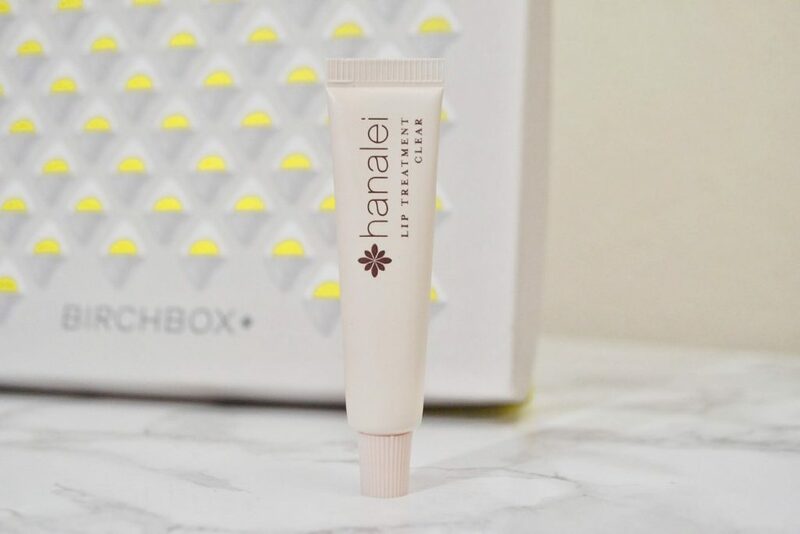 This Hanalei Lip Treatment contains kukui nut oil sourced from Hawaii, which heals cracked lips. It also contains shea butter for moisturization, and agave and grape seed oils for antioxidant protection. 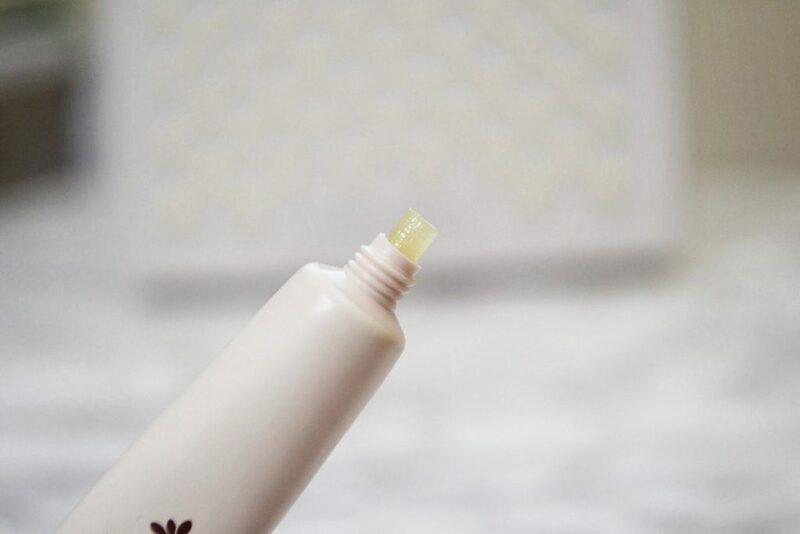 I absolutely love this lip treatment; it is thick and hydrating, without being greasy. I have been putting this on before bed, and I wake up with the softest lips ever! The only thing I don’t like about the Hanalei Lip Treatment is that it has an unpleasant rubbery smell. Next, I received a .5 fl oz sample of a cream to oil cleanser. It is designed for sensitive skin; this is perfect for me, because I have sensitive skin prone to cystic acne. Its formula is made from 97% natural ingredients, such as marula oil extract. 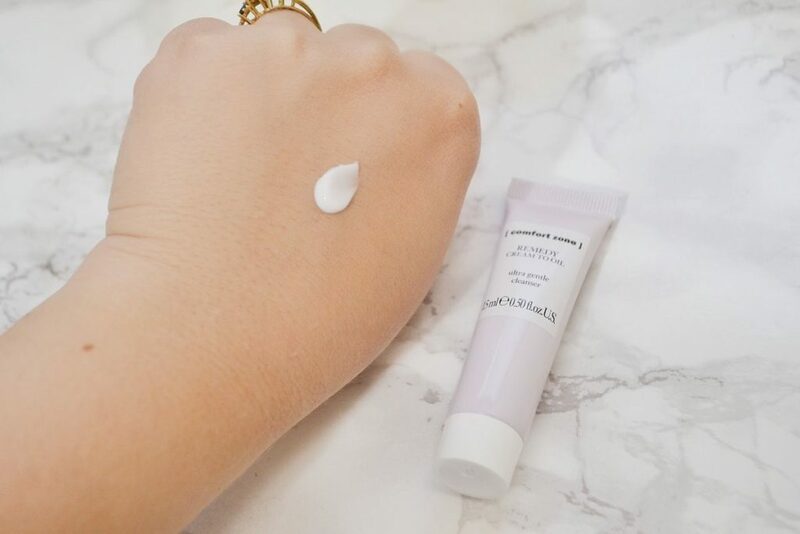 When you first apply it to your skin, it is creamy like a traditional cleanser. As you continue to rub it in, it transforms into a nourishing oil. This leaves my skin feeling moisturized and soft, and the oil doesn’t clog up my pores. 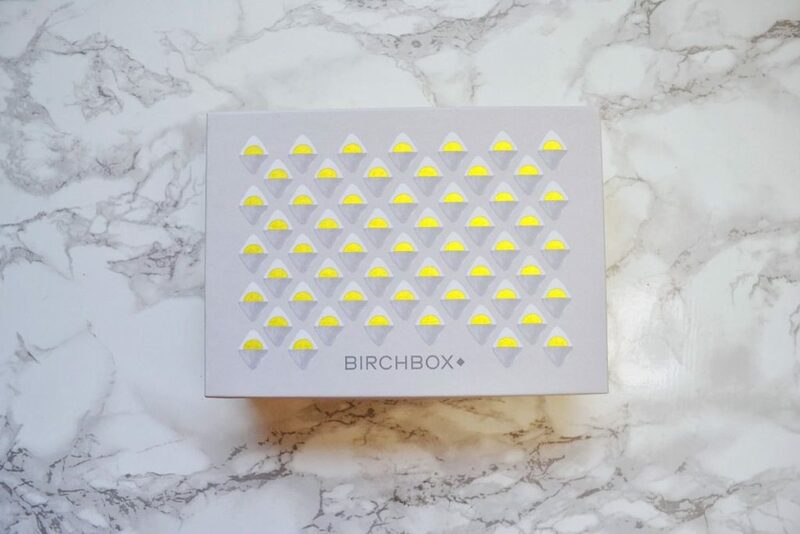 I love receiving makeup items in my Birchbox! This rose gold colored cream eyeshadow is my favorite item in the May box. It glides onto my lids easily, and has a gorgeous metallic finish. It is also cruelty free, paraben free, and waterproof. 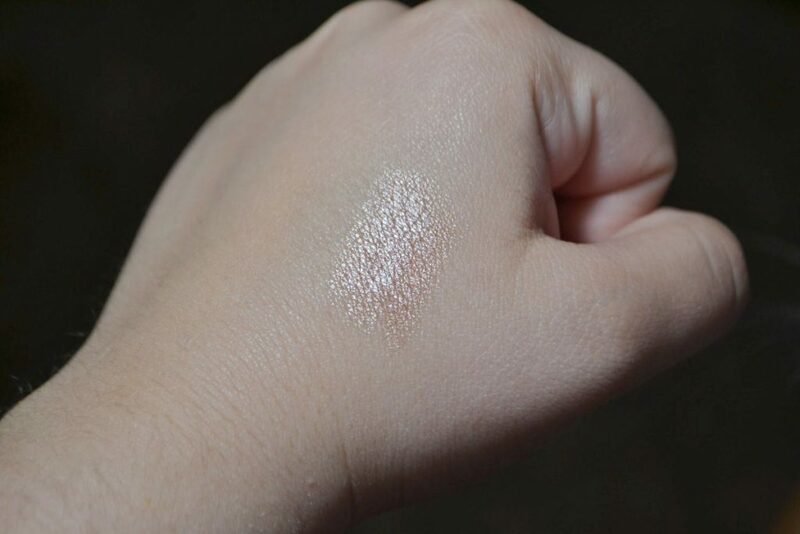 This rose gold shade is perfect for highlighting your brow bone, or bringing light to the inner corner of your eye. 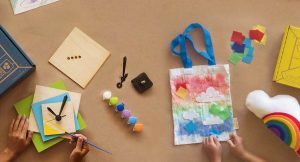 I think the products in this month’s Birchbox were of great quality. I even found new favorites in the leave in conditioner and the lip treatment! However, I wish they included more than one makeup product. 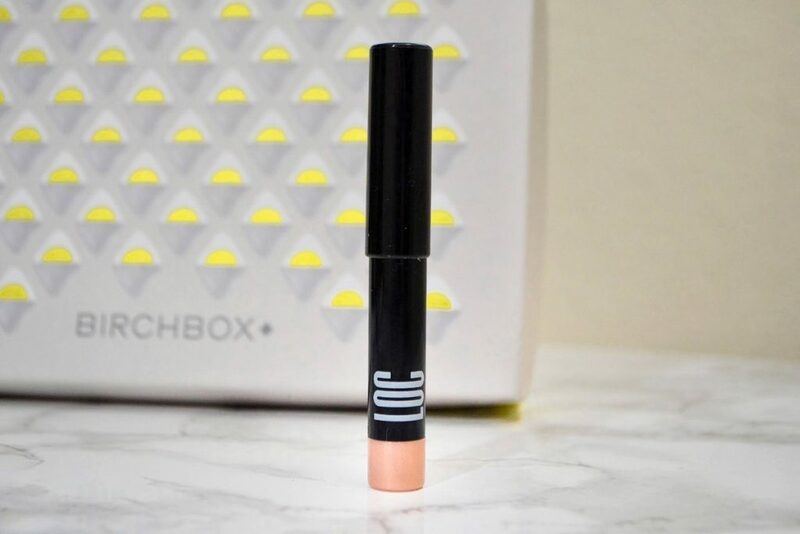 When you fill out your Birchbox survey, they ask what items you prefer to receive. I put that I prefer makeup products, but they do not include that many in my boxes. 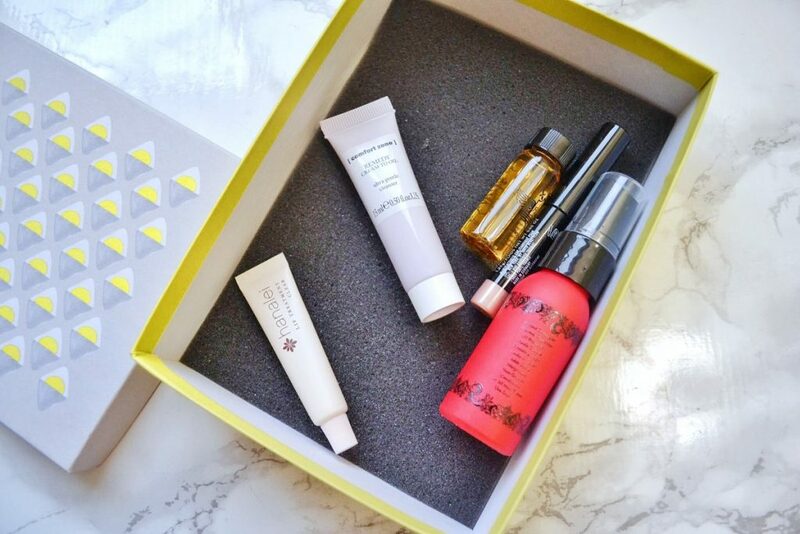 If you want a box that provides an overall range of beauty products, such as haircare, skincare, beauty tools, and occasional makeup, then Birchbox is just what you need! It is super affordable at only $10 a month, and you definitely get your money’s worth. May’s box contained $34 worth of products! I wish Birchbox would send out more makeup products in their boxes. However, I really liked most of the products in this box, and the value was much higher than the subscription cost.